1.00 As a result of Laurier researchers receiving grants from the tri-councils (SSHRC, NSERC, CIHR), the University receives funding from the tri-councils’ Research Support Fund (RSF) to offset the indirect costs of research. This policy outlines the reporting necessary to receive this funding. 2.00 The purpose of the RSF reporting requirement is to increase awareness of the full costs (direct and indirect) of research, as well as to make clear how the RSF is helping institutions with indirect costs, how universities make expenditure decisions within the context of the RSF, and the kinds of common needs that must be met to support research across the university. a. Research Facilities: including but not limited to the renovation and maintenance of research facilities, equipment, and associated operating costs. b. Research Resources: including but not limited to the acquisition of library holdings, library operating costs and administration, insurance on research equipment and vehicles, and improved information resources. 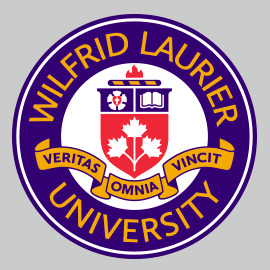 c. Management and Administration of Laurier’s Research Enterprise: including but not limited to support for research proposal development, information systems to track grant applications, payroll costs connected to the support of research administration, and the promotion of research. d. Regulatory Requirements and Accreditation: including but not limited to costs associated with boards of research ethics, animal care and biohazard compliance, technical support for animal care, and the update of facilities to meet regulatory requirements. e. Intellectual Property: including but not limited to the sustenance of a technology transfer office, administration of industry agreements, legal fees associated with licensing, and outreach activities related to knowledge transfer. 4.00 RSF: The Research Support Fund. The RSF is a tri-agency initiative of the Social Sciences and Humanities Research Council, the Natural Sciences and Engineering Research Council and the Canadian Institutes of Health Research. It assists Canadian postsecondary institutions and their affiliated research hospitals and institutes with the expenses associated with managing the research funded by the three federal research granting agencies. 5.00 Tri-councils: The Social Sciences and Humanities Research Council (SSHRC), Natural Sciences and Engineering Research Council (NSERC), and Canadian Institutes of Health Research (CIHR). 6.00 This policy applies to all research with funding from the tri-councils, and all departments in receipt of the RSF grant. 7.00 Laurier will publicly disclose the indirect costs of research by posting on its website the information required by the tri-councils for funding through the RSF. 8.01 A definition of the indirect costs of research and what these costs generally include. The definition will be the same as in 3.0. 8.03 A description of the impact of the indirect costs grant at the University. This section will describe general impacts as well as more specific impacts of the program at the University. 9.00 Distribution of the RSF grant will be made according to the Procedure for the Indirect Costs of Research. 10.0 In the case where RSF program requirements by the tri-councils are different than outlined in this policy, the RSF program requirements will be followed, and the policy will be updated to reflect the change.